The Floor Is Not to Be Trusted. 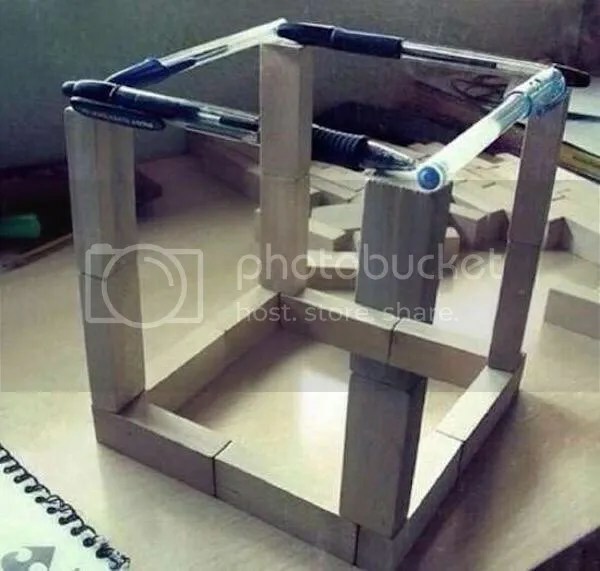 We love optical illusions here at PuzzleNation Blog. They’re puzzles for the eye, mind-bending ways that our senses can be tricked by clever manipulators of color, angle, and perspective. Supposedly, they had a problem with people running down the hallway to their store, and wanted to dissuade such shenanigans. And not only are they making their place safer, but they’re showing off their impressive skills while they do so! It’s a win-win. What do you think, fellow puzzlers? Will it work? Or is it just a clever marketing scheme to draw attention to their topnotch tile skills? Although I firmly believe it’s just an ingenious way to get the word out about their company, they’re not wrong in thinking that this sort of thing could dissuade rambunctious types. Other designers and stores have employed similar trickery in the past. 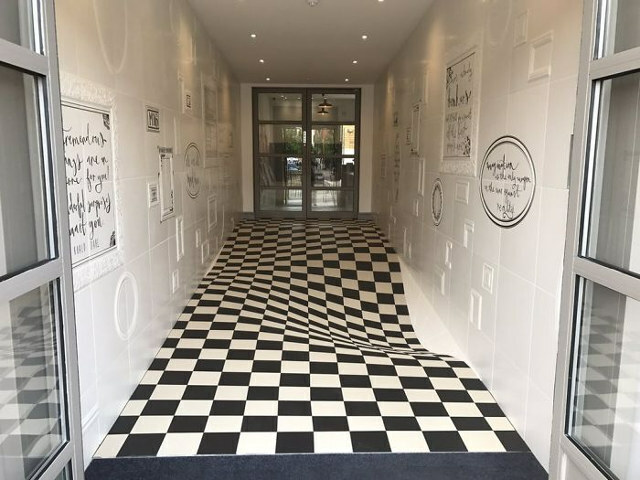 I mean, if you were trying to get across this floor, would you risk running? Anamorphic illusions are all about perspective. Making the illusion work requires you to either be in a specific place (positioned a certain distance away and facing a certain direction) or the use of a mirrored cylinder or cone. Using mirrored objects is called catoptric anamorphosis and using specific perspectives is known as oblique anamorphosis. It’s oblique anamorphosis we’ll be focusing on today. Most of us have probably seen an example of anamorphosis recently, as it’s become a popular form of urban outdoor art. 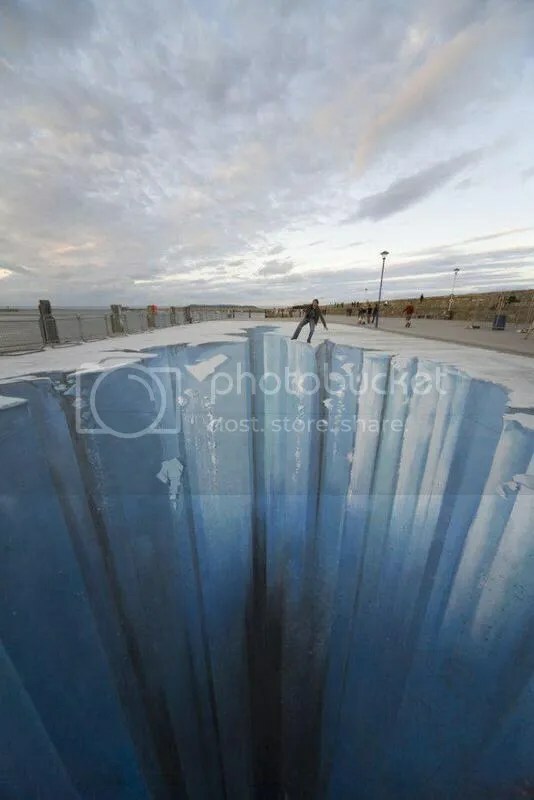 The ground is painted or colored to provide a fake perspective, and by standing in the proper spot, the illusion is formed. Having a hard time visualizing anamorphosis? Well, the folks at Brasspup have a fantastic YouTube page devoted to science and illusions, and they have several videos featuring some mind-blowing anamorphic illusions. 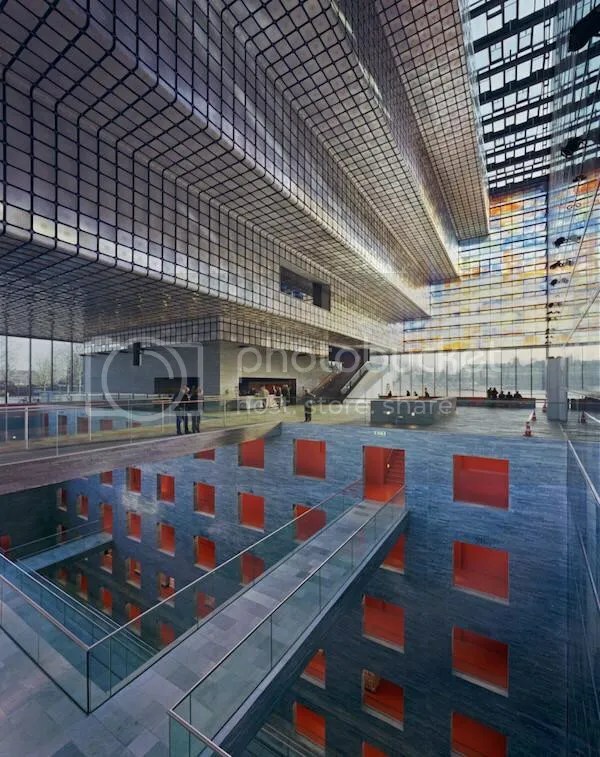 What’s even more amazing is that these perspective tricks can move beyond two-dimensional works like paintings and photographs. If you know how to manipulate the viewer, three-dimensional illusions are within your grasp. Check out this Escher-inspiring creation, built from pens and Jenga blocks! It looks positively impossible! It really is baffling when you consider how many ways there are to trick the eye. 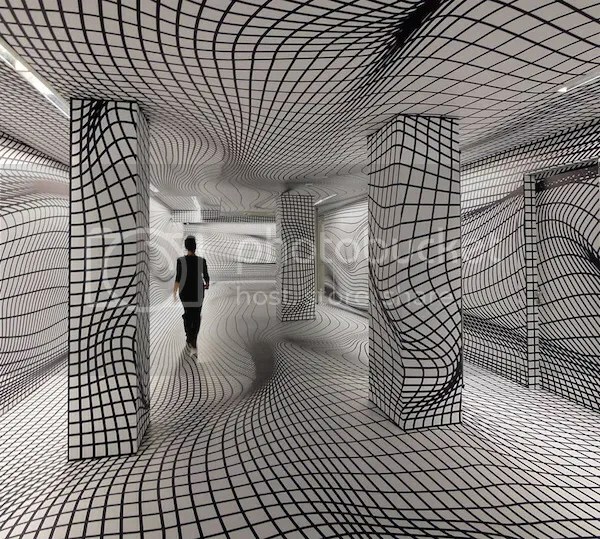 From Necker cubes and shape illusions to forced perspective and anamorphosis, optical illusions are alive and well as a puzzly art form worth exploring. Heck, look at what we can do with nothing more than black lines! 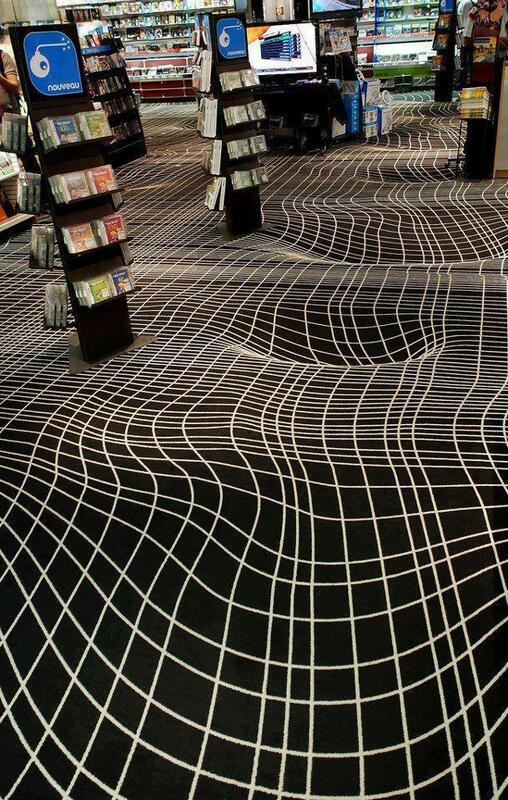 Imagine trying to walk a straight line in that room. Wow.